After a gap of several months, April will see the Community Lunch Club returning to the Cross Guns Inn in Pant. Pant Lunch Club started back in 2017 to give local people an opportunity to meet, socialise and enjoy a communal meal each month. The idea behind the concept was to give people in the village, and further afield, an informal way to meet up with other people, without having to join or become a member of a formal club. People will just be able to turn up at the Cross Guns in the village and meet other people. Over the past few years, the Lunch Club had attracted more than 40 people each month under a number of different managers at the pub. But it was cancelled a year ago. Now Stephen and Melissa who took over the pub in January have announced a date for its return. Said Melissa: “When we took over at the Cross Guns at the start of the year, we asked locals what they wanted and the Lunch Club was one of the things people in the village mentioned. Everyone is welcome, regardless of age and it is hoped that it will be popular with parents who are at home during the day, the self-employed and retired people. Pant has a great community spirit, but for many people it is a bit daunting going out on their own, for whatever reason, and Pant Lunch Club is being launched to make it even easier to meet up with neighbours, friends and colleagues in a welcoming atmosphere. 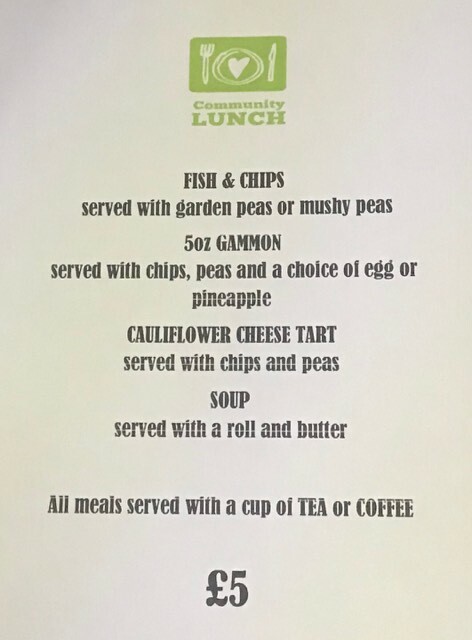 Pant Community Lunch will be available between 12 noon and 4pm. Booking not essential, but might be advisable.